Beautifully presented bungalow close to Syston town centre, this two bedroom semi-detached property offers a driveway for several cars, and beautifully lawned garden to the rear. 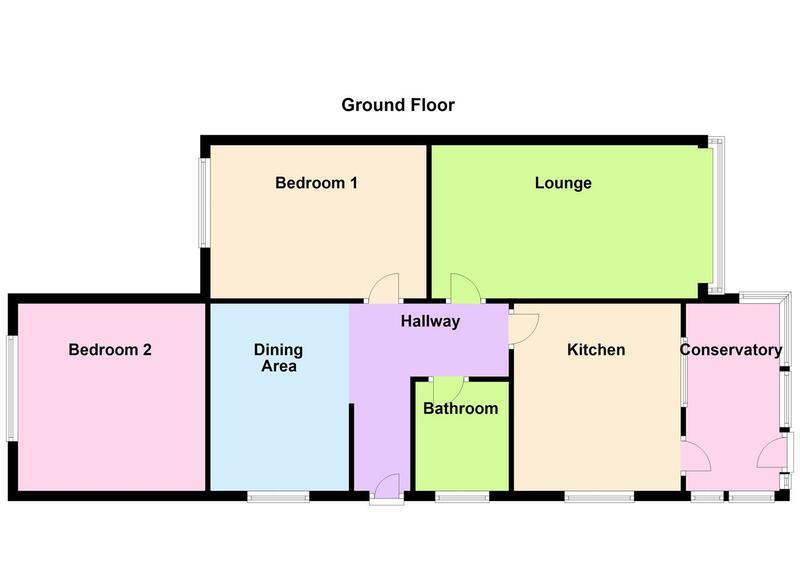 With versatile living throughout the accommodation including an entrance hall with a door leading into a good sized dining room. Another door leads into a modern fitted kitchen having a range of base and eye level units , integral cooker, hob with extractor hood over, sink and drainer with a window and door leading to the conservatory which overlooks the rear garden. The lounge is a generous size and is decorated in a neutral colour scheme with a large box bay window allowing lots of natural light to flood through which also looks over the beautifully kept garden. shrubs, planted borders filled with flowers and mature trees. The property also benefits from an essential large shed with lighting . EPC to follow.